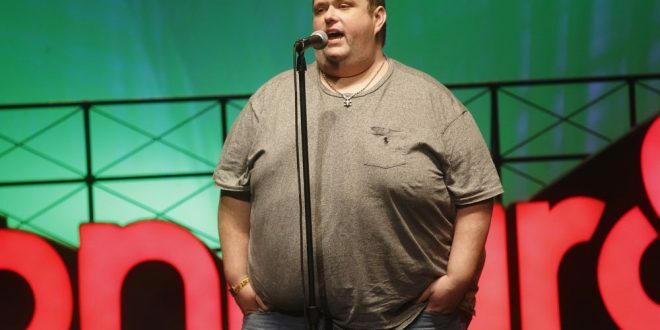 Comedian Ralphie May died after suffering cardiac arrest on Friday in Las Vegas, his manager and publicist confirmed to Variety. He was 45. We are incredibly saddened by the loss of our beloved comedian headliner, Ralphie May, and our hearts go out to his friends and family. Ralphie played a special role in this world, as he strived to bring joy to all. Over the last year, he became a cherished member of the Harrah’s Las Vegas family. We will forever be grateful for his laughter and friendship. According to TMZ, May had been suffering from pneumonia for weeks. Friday morning, his body was found in Las Vegas after an apparent cardiac arrest. Ralphie had been battling pneumonia and had cancelled a handful of dates over the last month in an effort to recover. Earlier this morning at a private residence in Las Vegas his body was discovered, cause of death is cardiac arrest. The stand-up performer launched his career after appearing on “Last Comic Standing” in 2003. Travelling around the country, his televised specials have appeared on Netflix and Comedy Central. Most recently, Ralphie was in the midst of a residency at Harrah’s Las Vegas. It was there that the comedian won the Casino Comedian of the Year at the Global Gaming Expo.